PRESIDENT Emmerson Mnangagwa and opposition Zapu leader Dumiso Dabengwa had jointly planned to challenge former President Robert Mugabe’s candidature at next year’s election by reviving the Patriotic Front, but the plan was overtaken by events following the military intervention last month, NewsDay has learnt. The project was the brainchild of veterans of the liberation struggle — the Zimbabwe National Liberation War Veterans Association (ZNLWVA) and the Zipra-Veterans Association. 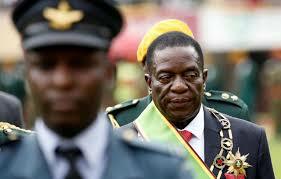 According to secret documents of the plot, Mnangagwa was poised to contest the 2018 election as Patriotic Front presidential candidate after Mugabe indicated his willingness to run for office at age 94. Dabengwa, according to the plan, was to serve as Mnangagwa’s deputy. Internal documents shown to NewsDay indicated that Mnangagwa was already being referred to as His Excellency as far back as August this year at a time Mugabe was still in office and had been endorsed as Zanu PF’s sole presidential candidate for 2018. It could not be independently verified whether Mnangagwa was personally involved in the plot, but NewsDay understands that the ZNLWVA leadership who ran the project represented his interests. However, the military intervention on November 15 this year, which forced Mugabe to resign, put paid to the plan and left Dabengwa in a lurch after Mnangagwa swept to power. Dabengwa yesterday confirmed the plans, indicating that war veterans leader Christopher Mutsvangwa and secretary-general Victor Matemadanda were involved in the initial negotiations. “It is not true that the offer came from President Mnangagwa. It came, but from people in the region who wanted to persuade me to join the government. The initial discussions were between the Zipra veterans and Mutsvangwa as well as Matemadanda, whose understanding was that a post-Mugabe scenario would mean a return to the Patriotic Front,” he said. Matemadanda also confirmed the meetings, but would not be drawn into discussing the leadership issue. “The issue of who would lead was left to politicians. I was not part of that discussion, but we were working on reviving the Patriotic Front. You will remember, we were arguing that Mugabe could take Zanu, but not the Patriotic Front because it was the brainchild of the fighting forces,” Matemadanda said. He said the military intervention had worked into the war veterans’ plans. “We were planning to march to State House and demand Mugabe’s resignation. The November 18 march had been planned long before, but police had tried to stop us. Now that Mnangagwa had been fired from government, the idea of challenging Mugabe had become a distinct reality,” Matemadanda told NewsDay. But Zanu PF spokesperson Simon Khaya Moyo professed ignorance of the plan. “I was never made aware of that,” he said. Matemadanda again on October 19 travelled to Bulawayo, where a meeting was held and an agreement was reached for an indaba to be held in Harare. A budget was drawn up with an initial meeting in Gweru planned. On October 30, negotiators met at the Gweru Village Inn with Benny Ncube chairing. The meeting was also attended by Matemadanda, Mahiya, Zenzo Ncube, Charles Makuya and one MaSithole. “. . . agreed on the composition of the presidency towards the launch and revival of the Patriotic Front that is Mnangagwa, Dabengwa, followed by Mutsvangwa and Benny Ncube. “Selected an interim committee of six from Zipra and ZNLWVA veterans. Assigned Matemadanda and Ncube to inform Mnangagwa and Dabengwa about indaba and ask them to attend,” the documents showed. A budget of $116 000 was drawn up and another for “campaign material” totalling $800 000 was also approved. Also discussed, according to the documents, was the “return of Zipra properties confiscated by Mugabe from Joshua Nkomo at the height of the Gukurahundi atrocities in the early to mid-80s”. After Mnangagwa’s rise to power, a senior Zapu official, who declined to be identified, claimed Dabengwa had been offered the Vice-Presidency, but he demanded a coalition instead. “We wanted Zapu to remain independent and also the key issue of the return of properties,” the official said.